Viknesh Vijayenthiran February 27, 2019 Comment Now! 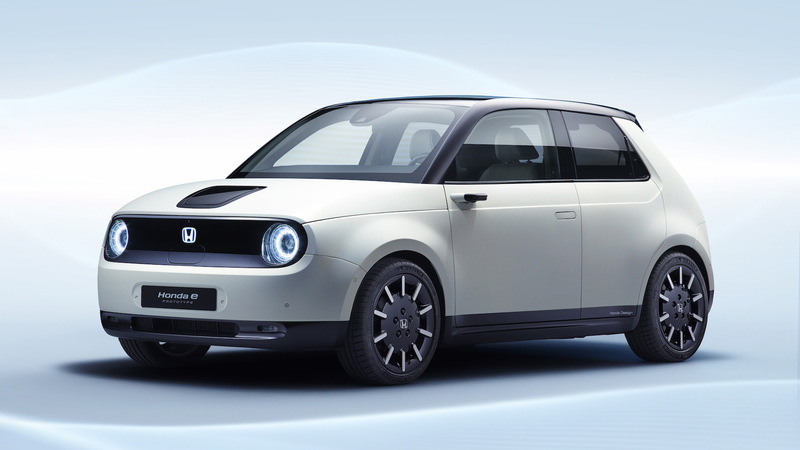 Honda unveiled an adorable electric city car a couple of years back in the form of the Urban EV concept and upon the debut also confirmed that a production version was in the pipeline. Now Honda has provided a first look at the production version, albeit as a prototype. 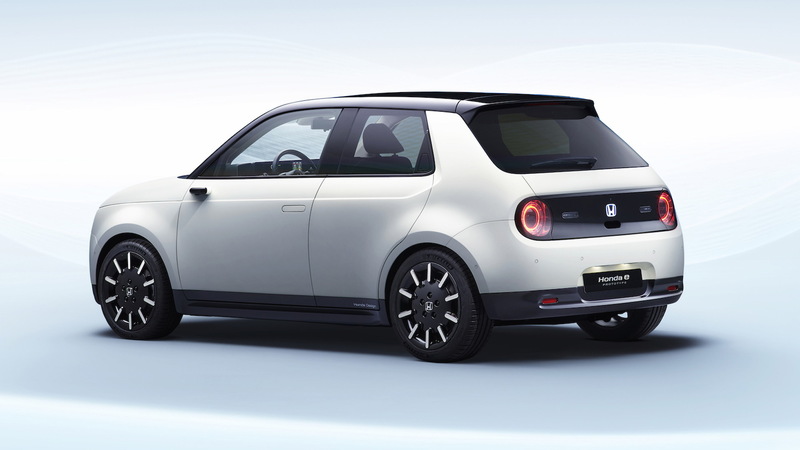 Called the Honda e Prototype, the cute hatch makes its debut next week at the 2019 Geneva International Motor Show and enters production later this year. The vehicle is based on a dedicated EV platform that enables a relatively long wheelbase and wide track, resulting in significantly more interior space than internal-combustion models of the same size. These attributes also result in a low, muscular stance. Honda hasn't said much about the mechanicals but we know a single motor powers the rear wheels, and with a full charge the range should be about 124 miles. An 80-percent charge is said to take 30 minutes. The design is all about function and purpose and combines smooth surfaces to aid efficiency. You'll notice that the A-pillars are almost flush with the windscreen, the door handles are flush with the body, and small cameras have replaced conventional side mirrors. The charging port is in the center of the hood to provide easy access from either side, and the e Prototype is also a five-door unlike the three-door Urban EV concept. The top of dashboard is all digital, and flanking each side is an additional screen each serving as the viewpoint for the corresponding side camera. 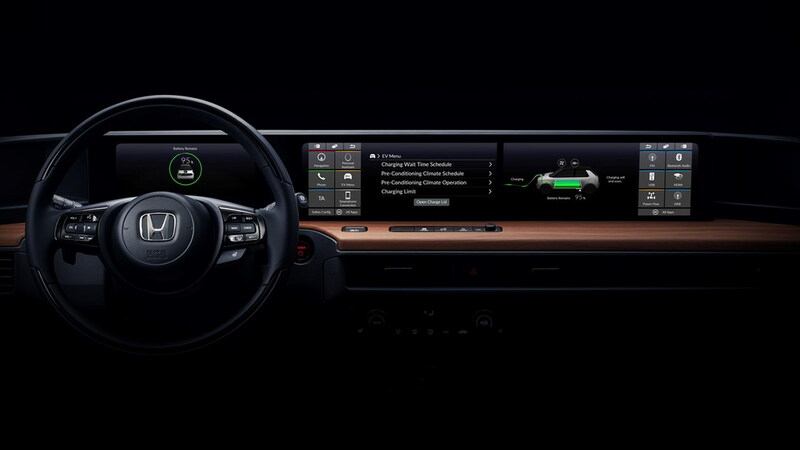 The rearview mirror has also been replaced by a digital unit, while physical controls for the climate settings and numerous connectivity ports are located in the center stack. A push-button system serves as the gear selector. Sadly, there are no plans to sell the car in the United States, which is a real shame as the design is just so practical it's hard not to love. At the concept's 2017 reveal, Honda said the production version would be aimed at the European market. We'll remind you that Honda also rolled out the related Sports EV concept in 2017. The electric sports car concept hasn't been confirmed for production but is expected to spawn a model for the Japanese market. The Geneva auto show starts March 5. The Honda Tomo concept developed by students at the Istituto Europeo di Design (IED), an electric pickup with similar styling to the E Prototype, will also be presented at the show. For our complete coverage, head to our dedicated hub.